Rafa Nadal Set to Rule Paris Once More? Words barely do Rafa Nadal’s record at Roland Garros justice. The bald statistic of 79 wins in 81 matches underlines his supremacy when it comes to the clay courts. He served notice in Rome that he was not in the mood to surrender to anyone on his favourite surface. The Majorcan overcame Novak Djokovic in the semi-final 7 – 6, 6 – 3 in a match which pushed Nadal harder than the second set scoreline suggests. With Roger Federer not playing any clay tournaments this year and no sign of Andy Murray returning to the ATP fold any time soon following surgery on his thigh, Djokovic is the highest-profile rival likely to grace the Roland Garros courts. For the former Wimbledon champion, “if Rafa stays healthy, injury free, I don't see anybody taking it but him." Strong words in the Spaniard’s favour from a man who knows a thing or two about winning Grand Slams. It’s too soon to write everybody off or declare this a procession to Nadal’s coronation, but it’s easily done. Djokovic is seeded 21 but hinted at his returning powers in Rome. The main threat is Alexander Zverev, number 2 seed in Paris. The 21-year-old defeated Martin Cilic 7 – 6, 7 – 5 in Geneva, with the tiebreaker going to 15 – 13. Geneva, Madrid and Munich; three titles so far this year and aside from what would be a rare display of complacency, is the biggest threat to Nadal. At two-metres tall, the German has plenty of power in his serve which underpins his rise to third in the Masters’ Series standings. 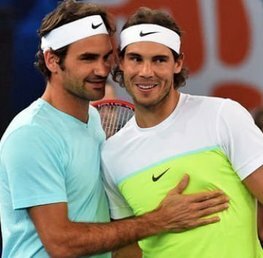 Nadal and Federer occupy the top two positions, interchangeable such is their closeness. Zverev has pushed Nadal close enough on a number of occasions, but never defeated the Spaniard. The pair are scheduled to meet in the final, which is as good a place as any to break his duck! Dominic Thiem, the 7th seed, defeated the Spaniard in Madrid and that wake-up call could be the key to a successful tournament for Nadal. However, it offers a chink in the armoury which others can capitalise on. It’s easier said than done, as Rome proved. The 24-year-old has an exciting repertoire of shots, making him an unpredictable opponent to face. Energetic and strong, he is a player who can cause anyone in either side of the draw. Rafa Nadal: 6/13 – Visit Betfair! Novak Djokovic: 12/1 – Visit Unibet! 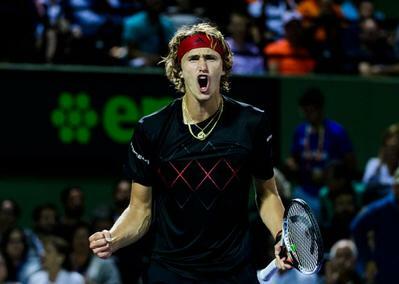 Alexander Zverev: 8/1 – Visit Betfred! 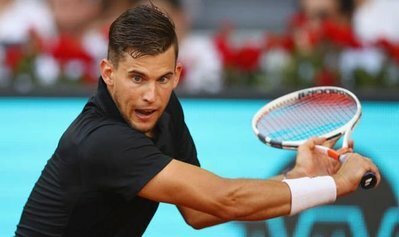 Dominic Thiem: 12/1 – Visit Betfred! Kei Nishikori: 50/1 – Visit Paddy Power! Juan Martin Del Potro: 50/1 – Visit Betfred! Despite odds which are shortening on a daily basis, there’s a great deal of sense in betting on Rafa Nadal to emerge with his 11th French Open title in a fortnight’s time. Clay is indisputably his surface, and this is his tournament. To some, the absence of Murray and Federer makes the French Open more predictable than before. However, the results from around the tour show the younger challengers such as Thiem and Zverev are capable of shaking any complacency from the Spaniard’s bones. Not that he is expected to show any, you understand. 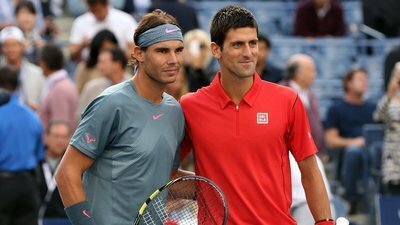 The presence of Novak Djokovic ensures that the potential for an ‘upset’ is on the cards, particularly if he ends up in the top half of the draw along with Nadal, which is likely with the pair due to meet in the quarter-finals unless there are any changes to the format of the draw by the organising committee. Despite this, there is a lot of value to be found in the outsiders reaching the final with Thiem the one to really keep any eye on. 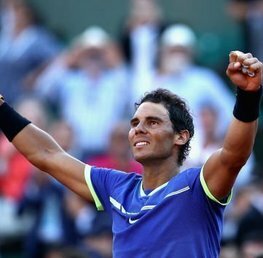 Nadal to win French Open & lose under 70 Games: 13/8 – Visit Paddy Power! If you’re brave – Nadal to win & lose under 60 games: 3/1 – Visit Betfair! Nadal to repeat his 2017 form and win without losing a set: 7/2 – Visit Betfair! Rafa Nadal vs the Field – the Field to win: 7/4 – Visit Paddy Power! Unibet are offering a great betting promotion for the French Open. New customers at Unibet can claim a "bet £20 on Tennis and get £40 in free bets + 20 Free Spins' offer. 1.) Opt-in to the bonus when they register and make a first time deposit of at least £10. 2.) 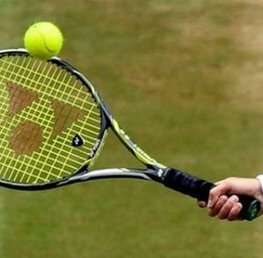 Place Tennis bets accumulating to a total of £20 or more at odds 2/5 (1.40) within 30 days of opt-in and once the bets have been settled, you will receive £40 in free bets. 3.) Bets can be placed in stakes of £.10 or more, but must total £20 in total. 4.) Cashed out bets will be valid for this promotion. 5.) 20 Free Spins is also available. To claim this French Open Betting Offer visit Unibet! 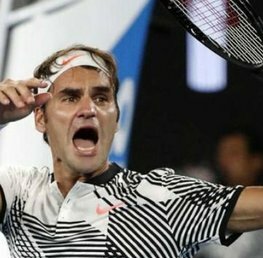 Australian Open Blown Wide Open - Who Wants It Most?